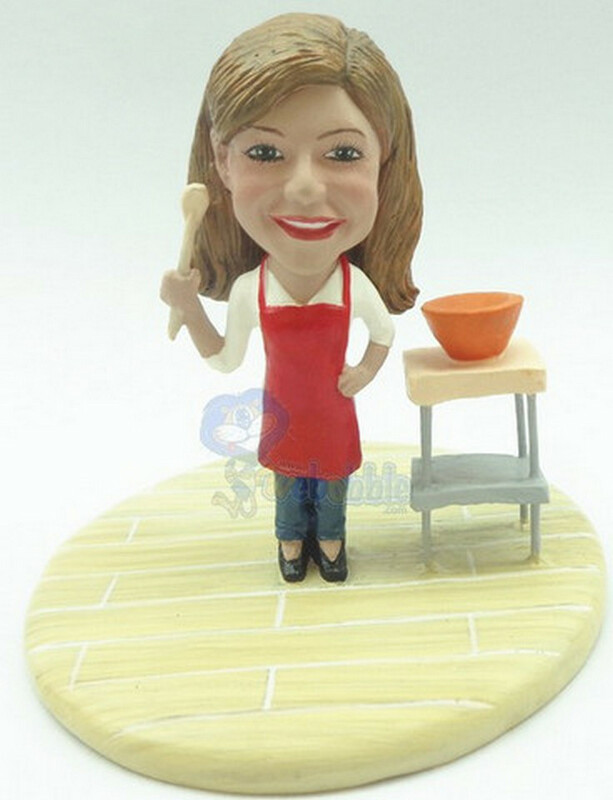 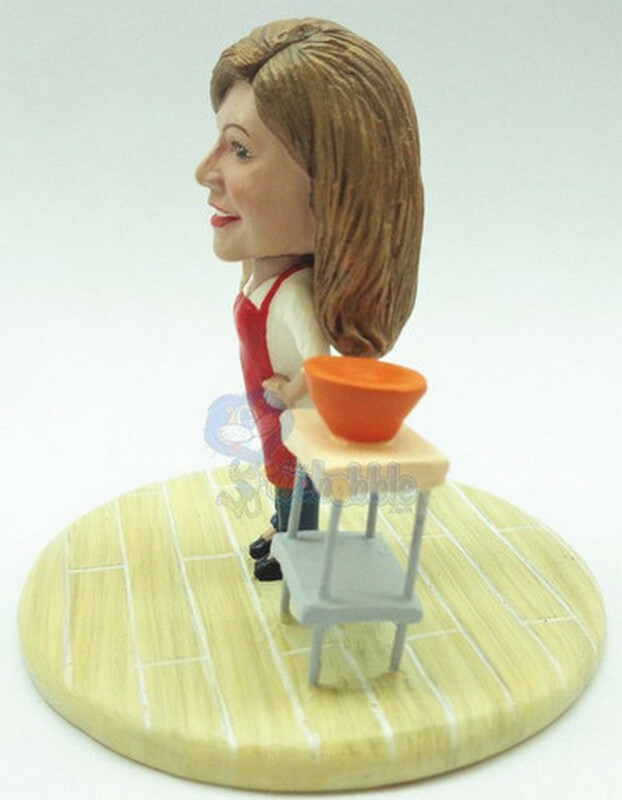 Our new Premium Line, this custom bobblehead doll features a female cooking in the kitchen. 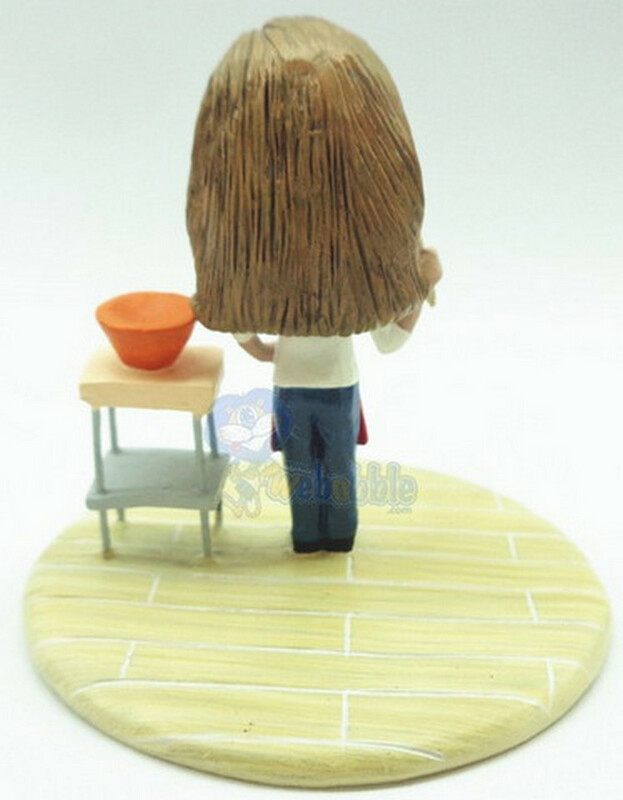 She is holding her spoon and has a small table with a mixing bowl on top. 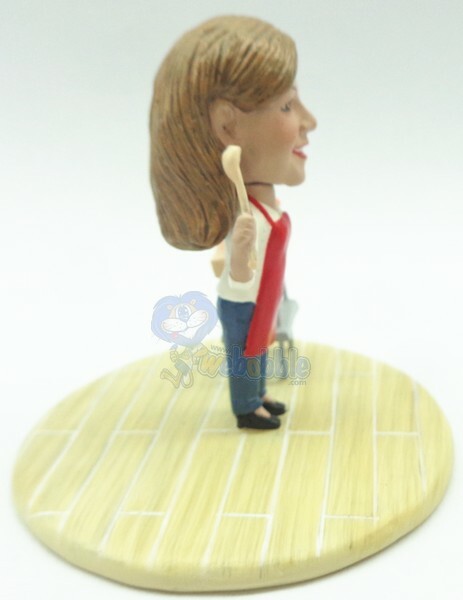 She also is wearing an apron.